Brush up to dawn an altogether new look in this Beautiful Blizzard Blue Cotton Silk Long Tunic with Print Design from the house of Snehal Creations. This round necked tunic has three fourth sleeves.The body of the tunic is plain Ink blue with a printed patch at the centre. A different patch in blue and white forms the yolk and is sprayed by red taping. 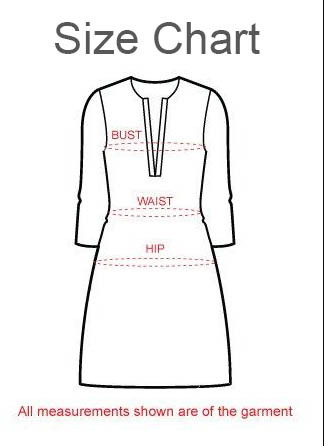 Vari Layered taping line the tunic at base and cuffs.